I think it’s fair to say the first half of 2018 didn’t quite go according to plan. I had a fishless winter on my 185-acre Lincolnshire syndicate and the start of the new season was no different, when was then delayed due to a long-awaited French trip. This was a struggle due to changing weather conditions leading up to the holiday and the week itself was hampered by some of the fish spawning, which was frustrating as the previous April the lake was producing 50-fish hits in a week. This year my friend and I battled our way to 18 carp between us, including a 51lb common and a 47lb mirror for my mate, while I beat my PB twice with a 38lb mirror and then my first-ever 40-pounder in the shape of a 41lb 4oz mirror. The tactics in France were no different to my approach in the UK over the previous 12 months, with Ronnie rigs and Milky Malt pop-up doing the business. Back to the UK and it was time to hit the syndicate before the fish spawned. Here is where my troubles and woes began. 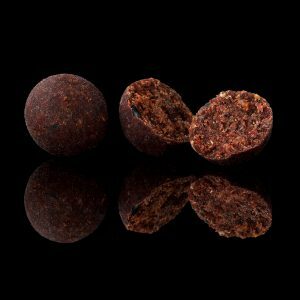 Over the previous 12 months I had been using Ronnie rig in conjunction with Milky Malt pop-ups over a mix of Secret 7 and Switch boilies, soaked in the amazing Betastim liquid, which propelled my fishing on the vast lake to new levels. It seemed every time I had rods in the water I could do no wrong. Whether it was a work overnighter or a two- or three-night session, I would winkle a couple of fish out each time. 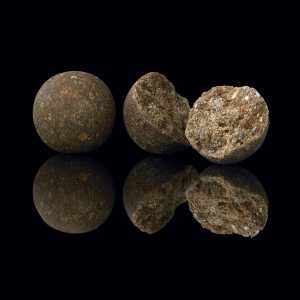 I was regularly banking fish in the mid-20lb barrier, including the odd upper twenty and my first-ever thirty, a 32lb mirror. Come early May, I couldn’t resist going down for a night and found myself set up in one of the more favourable swims on the lake called the Woods. Fishing one rod to the island and two rods on an open water spot, I was confident of getting my season off to a good start. Sadly, by 10 o’clock the following morning, I was on the A1 heading back north. I was to later find out someone had followed me in that swim and landed three fish to 29lb. Ouch! The next couple of trips were 24-hour sessions, one of which I took a guest on and managed to drop on the end of a big warm westerly. However, it was the same story, apart from the dreaded bream! It was now mid-May and I was still fishless. With big south-westerly finds forecast, I knew I wanted to be a in a swim called Concrete. It was a swim that had spring form and the scene of where I had my epic spring the year before. 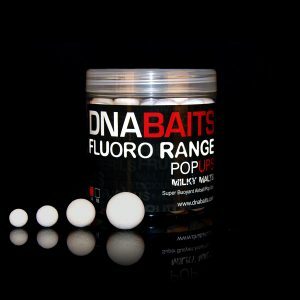 With the spots found the previous year , I baited up with around 3kg of S7 and Switch boilies and offered the tried-and-tested Milky Malts pop-ups on Ronnies over the top. Even after a blank first night, the wind still gave me enough confidence to stay put and top up the spots with a bit more bait in the expectation of second-night success. I had seen the wind was due to change during the second night to a northerly wind, but it wasn’t due to happen until 2-3am, so I declined the opportunity to move in advance given I was pulling off early the next morning. Needless to say, at 8.30am I received a phone call from another member saying he’d dropped on to the end of the windward bank and bagged himself four fish. Banging my head against the proverbial wall, I quickly packed up and moved around that side for the morning but wasn’t fortunate enough to snare a fish. With fish climbing up anglers’ lines, I was back down again for a work overnighter. The swims I had in mind on the end of a big northerly were taken, so I dropped into a swim to the left of where I wanted, a swim that put me on the same plateau and wind as in the other two swims. However, yet again I was beaten by the fish and time, so it was off to work I went. The following days were spent dissecting my year and considering what on earth was wrong. I was doubting my location, rigs, presentation and even the bait, even though it had done the business for the previous year. I decided it was time for a change of bait. The lake sees a high volume of stinky, crabby red fishmeal bait, so I decided to drop the Switch and bring in the SLK alongside the S7. 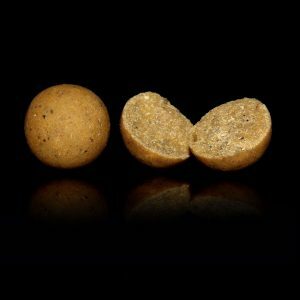 I also decided to move away from the fluoro hookbaits and fish heavily glugged match-the-hatch hookbaits, still on Ronnie rigs. 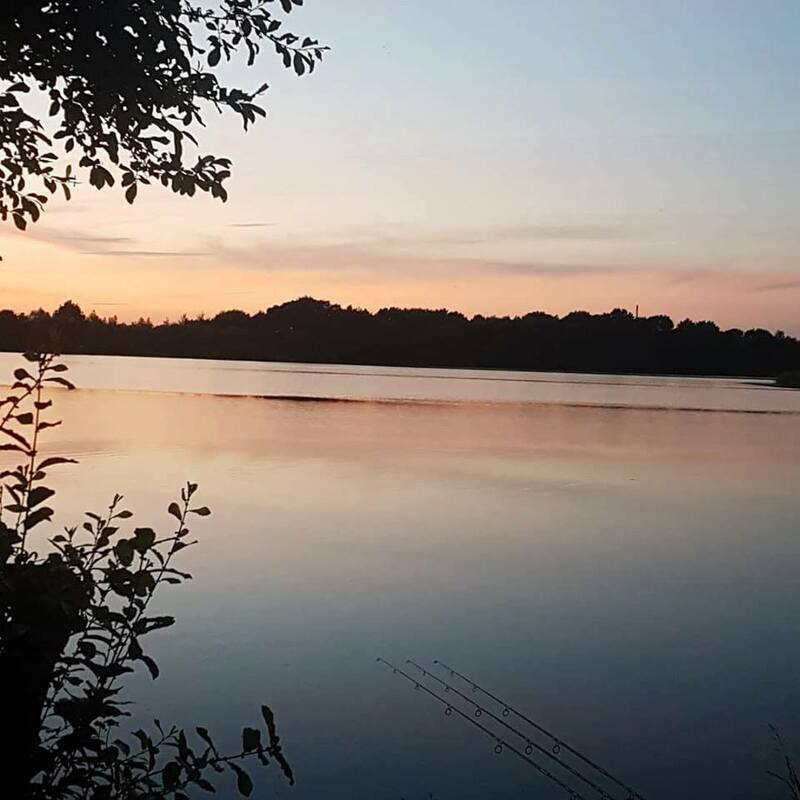 It was now 22nd June and determined to end my barren spell, I was back down the lake with three days ahead of me, armed with my new baiting approach. Given the lake is also a boating lake, the sailing club dye the lake with a blue dye to reduce and prevent weed growth, so when I found myself a big bed of eelgrass, I knew I had struck gold. With all three rods positioned just in front of the weedbed and with 2kg of boilies deposited, I went to bed more hopeful than ever. This is the type of water where first light is prime time, and when it was approaching 7am I was starting to wonder if it would happen. Thankfully for my sanity, one of my rods sprang into action! Upon landing and retaining the fish, I got the rod back on the spot, but before I could even get a spod loaded with boilies, the same rod was off again. They were my only fish that morning, a mirror weighing 23lb 11oz and an old original 24lb 9oz common known as the Red-Bellied Common. I was now regaining my confidence and seeing plenty of fish in the area, which culminated with a mid-double common at 3.30pm. With my alarm set for first light at 4.30am, I was ready for it. However, the fish had other ideas and at 3.30am my bite alarm singing! 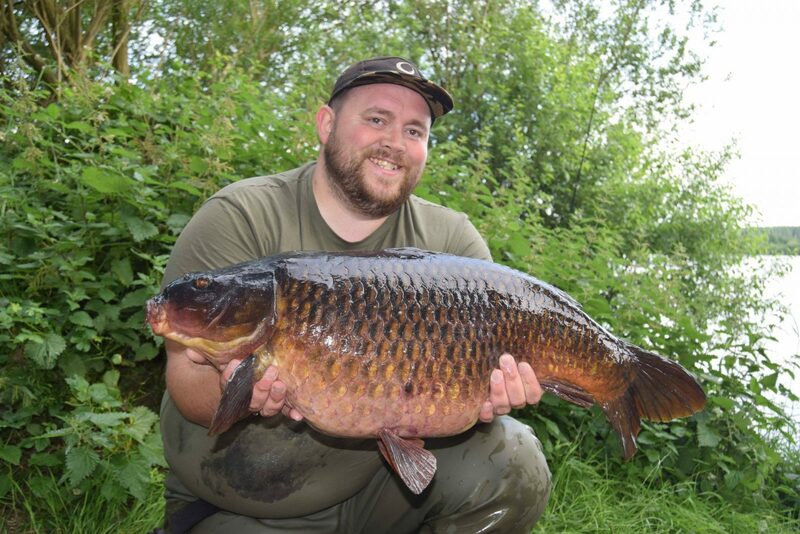 Weighing in at 30lb 1oz, I was over the moon to bag my second thirty from the venue. Over the course of the second morning, I bagged myself a couple more fish, a 22lb 11oz mirror and a short, rotund 25lb 5oz common. I was now on six fish and my mojo was back, as my mother kept saying, to my dismay! My mojo was definitely back! 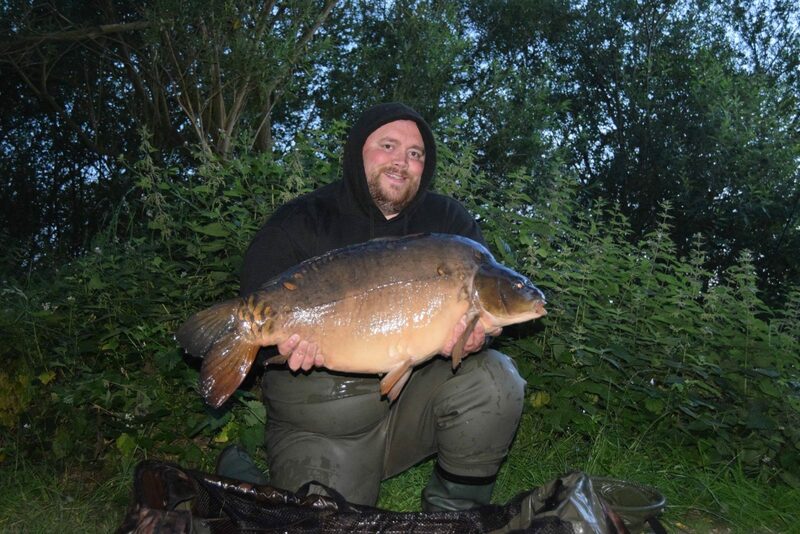 At midnight on my final night, I was awoken from my slumber by a stockie 19lb 3oz mirror. The bite alarm yet again beat my phone alarm to waking me up and I was treated to a 23lb 8oz mirror, shortly followed by a dark 19lb 5oz mirror. Sitting on nine fish, I was obviously brimming with confidence and very happy with my change in fortune, but secretly I was hoping for one more fish to take me into double figures. 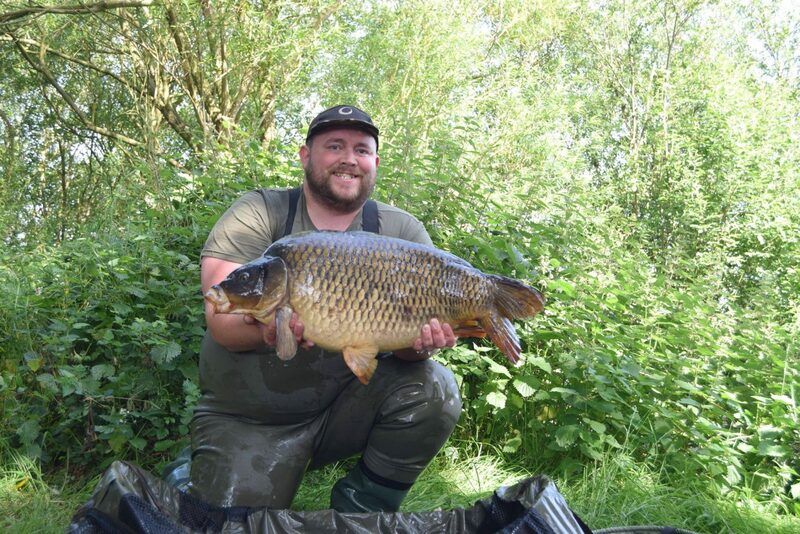 My greed was satisfied at 9.30 when my middle rod tightened up and after a long, slow, plodding battle a chunky-looking common slipped over the net cord, and upon peering into the deep net, I knew I’d got myself a good common that looked to be an upper twenty. However, when I lifted it out of the water, I became clear it was much heavier than my initial thoughts. With the Reuben digital scales zeroed, I hoisted the fish up and the weight settled on 31lb exactly. With so few 30lb-plus commons in the lake, I was on cloud nine! The pictures say it all for me. 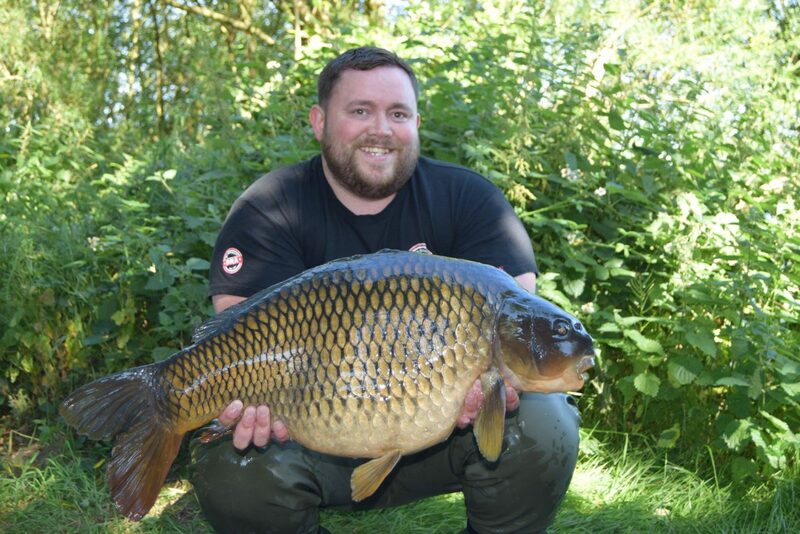 At 31lb, the smile says it all! That was the last fish of a session I was more than satisfied with. My baiting approach had clearly made a huge change to my fortunes and is definitely a strategy I’ll be adopting again in 2019.